To make a restoring mineral drink mix ½–1tsp of minerals (depending on your needs) in 500ml–1L of still or sparkling water and add lemon or lime juice to taste. The benefits of this mineral drink can be boosted by adding your preferred dose of Ancient Lakes Concentrated Ionic Magnesium drops. Can also be added to food in place of regular salt. 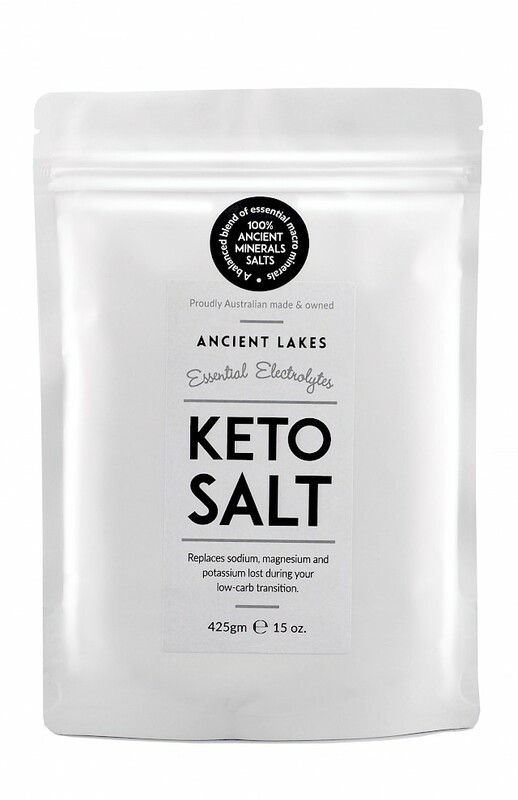 Also see our Getting Started Pack, which includes a pouch of Keto Salt and a 100ml bottle of our Concentrated Ionic Magnesium.